We provide home sleep testing in the comfort of a driver's home, cab or other location at a fraction of the cost of a traditional in-lab sleep test. 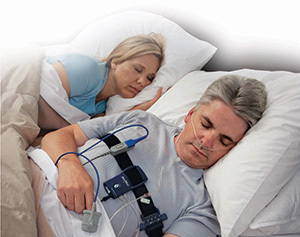 We will soon also provide low cost CPAP equipment, supplies and compliance monitoring. For employers and corporate entities we will quickly develop and implement a custom and cost effective sleep testing and management solution to fit your needs. We are completely flexible and all services are available as a complete, fair priced package or may be purchased individually.